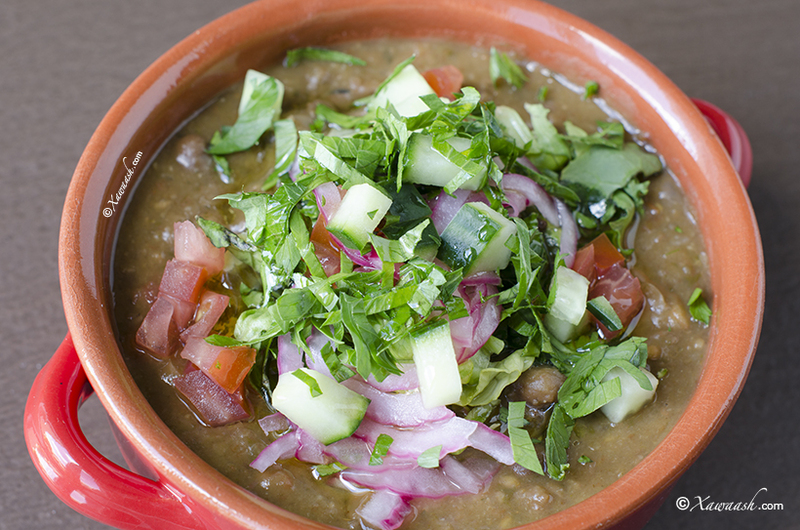 Boost your day with a delectable Egyptian dish of cooked fava beans with a touch of Somali flavors in this Ful Mudammas with Xawaash Spice Recipe. You can choose from a variety of delicious toppings to fully satisfy your taste buds. ﻿Wash the beans and boil for 10 minutes. Turn off the heat then cover and let the beans soak for one hour. After one hour elapsed, drain the water and wash the beans. Put the beans in a 5 litre clean pot. Add all the other ingredients except for the one garlic. Cover and cook on medium heat for one hour. Stir after every 15 minutes. Mash the beans using a laddle, or a wooden spoon. Add the garlic and cook for another 10 minutes.